Found one file extension association related to Master of Orion 3 and 1 file format developed specifically for use with Master of Orion 3. Developer / company: Quicksilver Software Inc.
Master of Orion III is the third and final game from the Master of Orion franchise. It is a 4x strategy game developed by QuickSilver Software. In MOO3, players assume the biggest role ever. No longer do players merely represent petty interplanetary dictators. In MOO3, players represent the controlling power behind an entire galactic civilization. The dictators, presidents, councils, and overlords that come and go are merely a player's pawns. One must use these governments and their leaders to secure the destiny of one's civilization and to manipulate its policies of freedom and oppression in both foreign and domestic arenas. It is not enough to be an able economist or a great captain to succeed in Master of Orion 3; considerable political, administrative, and espionage skills must be applied to craft your civilization's glorious chapter in the Annals of Time and Space. Although MOO3 is a turn-based game and a player can do anything, he can't do everything. Only a limited amount of "Imperial Focus" is available to each player each turn, so players must manage the ultimate resource — their own direct involvement! Therefore, as players build empires, retaining able administrators becomes more important (as does watching their loyalty and ambition!). Growing an empire means growing a bureaucracy and citizens can resort to voting with their feet or their pitchforks if they're not properly led. 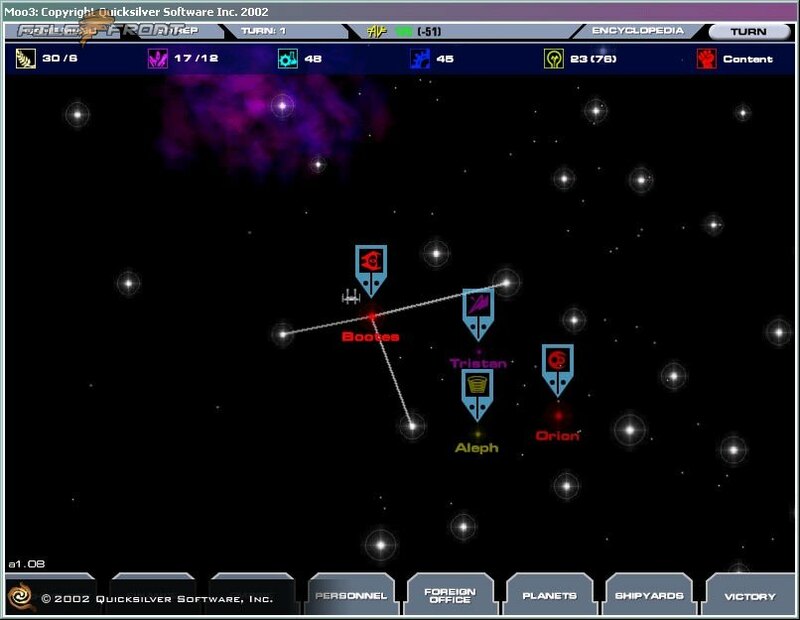 If you need more information please contact the developers of Master of Orion 3 (Quicksilver Software Inc.), or check out their product website.